 HoteloPro gives you total control over reservations from all sources. It allows you to manage reservations made directly at the hotel, via phone reservations, or online bookings. With the ability to view either 2 weeks or one month, HoteloPro`s dashboard is fast and easy to navigate. New bookings can be initiated directly from the dashboard by selecting the room and days, or using the NEW BOOKING button. 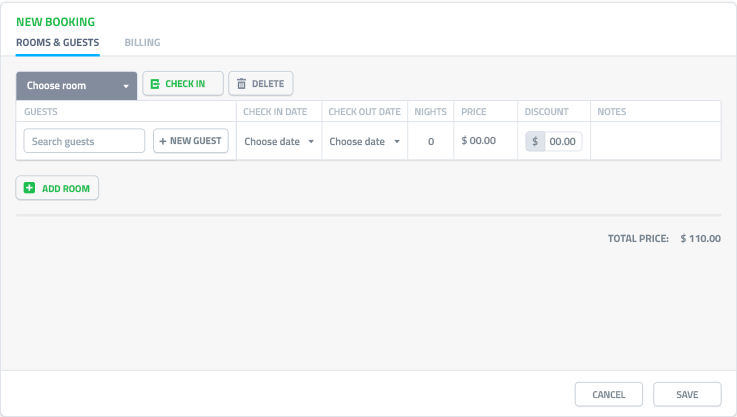 Everything is fast with HoteloPro; all one needs to do is to add the guest`s name, or choose it from the client database, and select their check in and check out dates. 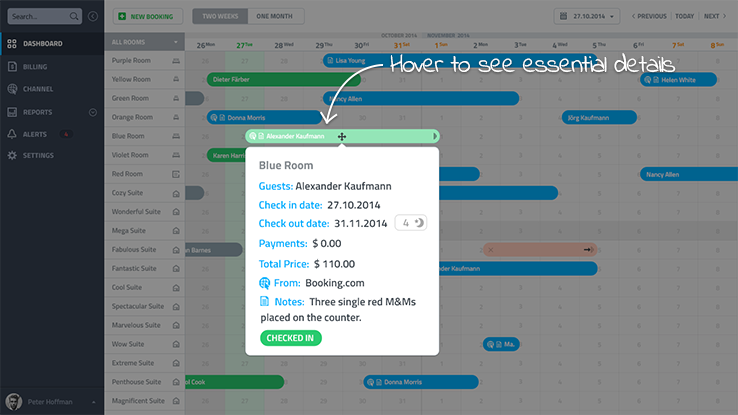 Group bookings can be made as easily as individual ones; simply select multiple rooms on the dashboard. 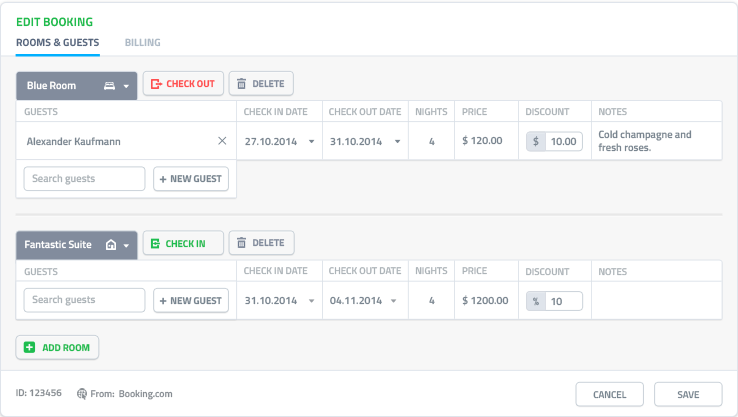 Operate check ins, check outs, apply discounts, and add more rooms on the same screen!